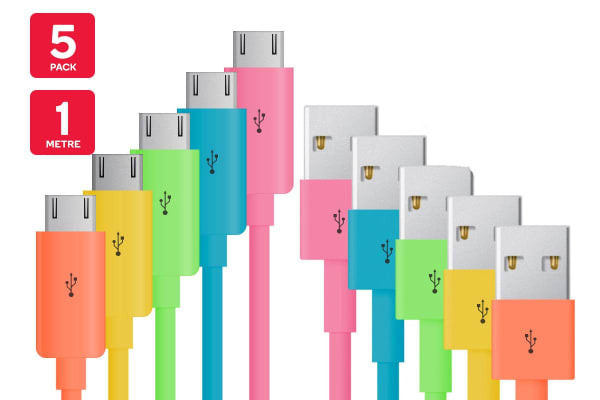 Have your devices charged in no time using this colourful set of Micro USB to USB cables. 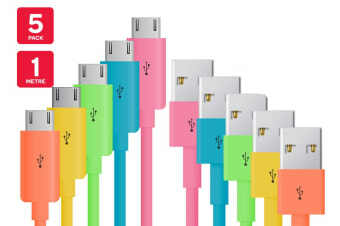 Get all your media devices up and running thanks to the rapid charging of these Micro USB to USB Cables. The 1m length allows you to charge your phone from anywhere – ideal for when you’re on the couch or in bed. Created with sturdy, reliable adapters, you won’t have to stress about the cables pulling out at the most inconvenient times. 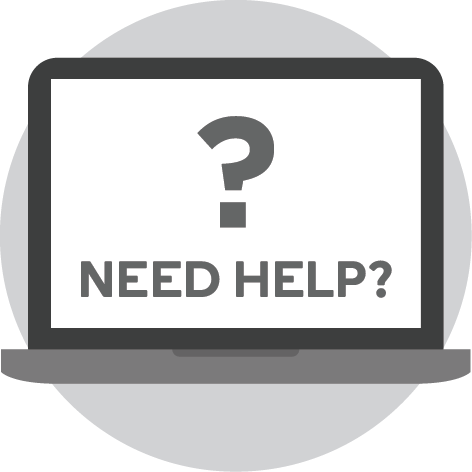 Perfect as a spare for home or work, your phones and devices will be ready to go at any moment! The products works great and as described, however one of the cable ends has started to come apart already.